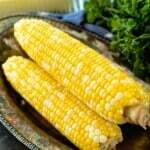 Easy, delicious Grilled Corn on the Cob in Foil is the perfect grilled side dish! This corn is steamed in a foil packet with butter and salt. So easy and delicious! 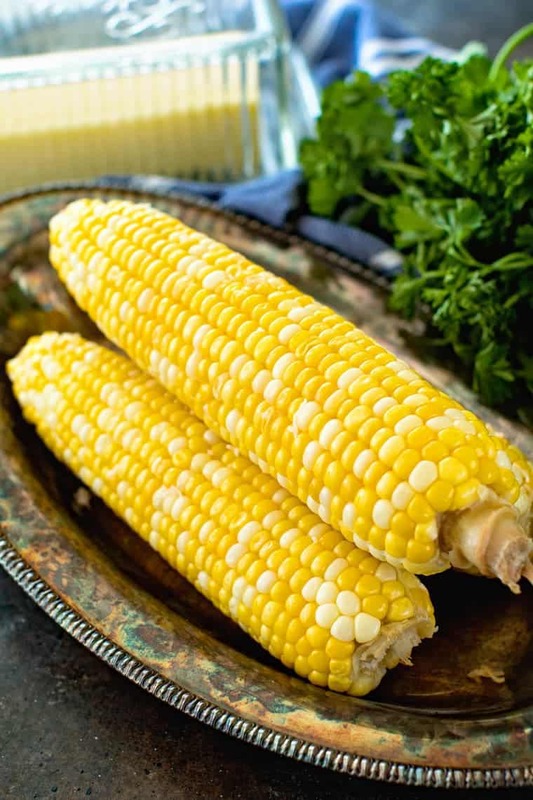 What is it about corn on the cob that screams summertime to me? Especially when it’s perfectly grilled in foil on the grill! Actually this is more like it is steamed on the grill in foil. This Grilled Corn on the Cob recipe is wrapped in foil so it actually is cooked more like it’s being steamed then it being grilled. I absolutely love it. I can still get my grilling done without heating up the kitchen, yet my kids will eat this corn on the cob. The kernels are perfectly juice and tender without being over cooked. Plus, for some reason the “charred” kernels tend to turn off my kids. They typically love corn on the cob but when it’s black they think it’s “burnt” and of course they won’t eat it! 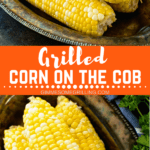 If you have picky kids like me then this is going to be your new go to recipe for grilling corn on the cob. Plus, it’s ridiculously simple! This is always a necessity in my grilling recipes. 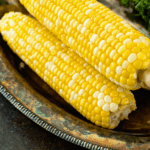 Do you freezer sweet corn? We do around here! My Dad and brother are farmers so they always plant sweet corn in one of their fields. Then in August, when it’s ripe, we pick it by hand and go to town husking, par cooking and freezing it. I’ll admit, my Mom does most of it, but I think I’m going to get recruited this year because I’m not working full time outside the home this year. This is totally fine by me. I have great memories of husking corn on lawn chairs in the middle of the farm yard with my Dad. Every once in a while you’d end up with a bad piece of corn that had a worm in it and I’d throw it, he’d try to catch it and we’d have a good laugh. I should probably recruit my kids to do this soon so they can have the same memories! We actually freeze it two different ways. We cut the corn off the cob and freeze it freezer bags, plus we leave some pieces whole, par cook it, dry it, wrap it in wax paper and then pop it into gallon freezer bags. It’s amazing. In the middle of winter when you are craving sweet corn you have it at your finger tips. Plus, does anyone feel that corn on the cob tastes better than when it’s cut off the cob? Although my kids disagree so I had to invest in this little gadget to cut the corn off the cob for them! Plus, you always need a good set of corn on the cob holders! 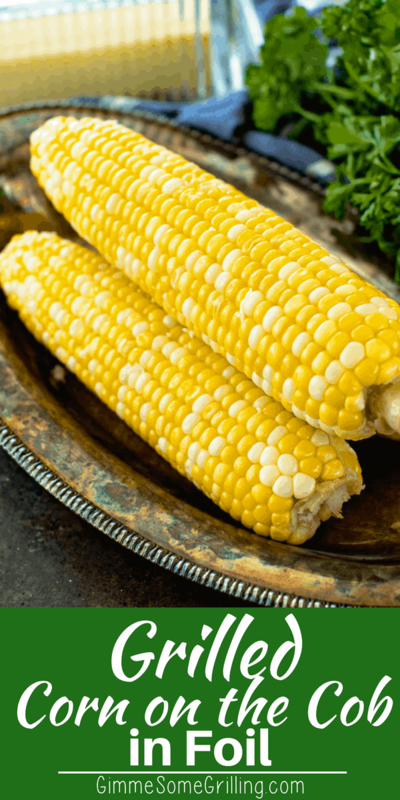 The next time you are looking for an easy summertime side dish to grill you have to try this Grilled Corn on the Cob in foil! Perfectly tender kernels bursting with flavor, bathed in butter in salt. Like I need to say more than that! Tear off four pieces of tinfoil about 12” x 12”. Place a piece of corn on each piece. Smear 1 Tbsp softened butter over each piece of corn. Sprinkle with 1/8 tsp salt. Roll up in foil. 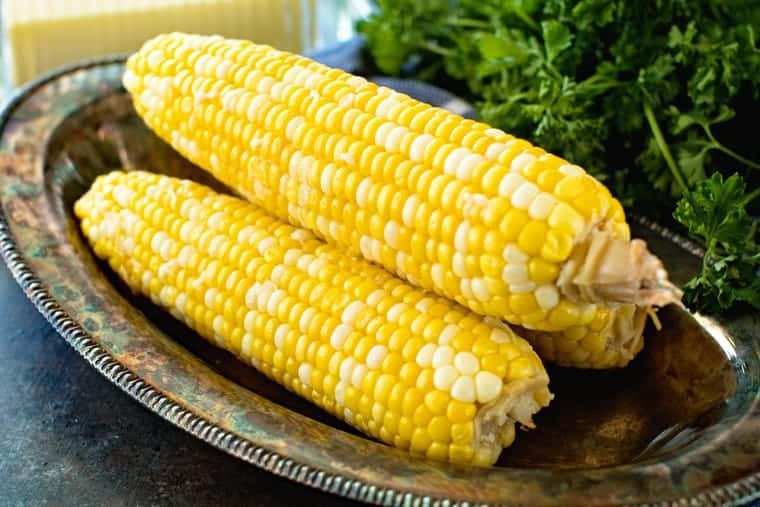 Place foil wrapped corn on grill that’s been preheated to 350-400 degrees F.
Grill for 18-20 minutes turning 3-4 times during grill time to prevent corn from burning. Watch me make Grilled Corn on the Cob below! See! Told you it was so easy. Grab your ingredients and get to work! Preheat grill to 350-400 degrees F.
Tear off 4 12x12 pieces of tinfoil. Place a piece of corn on each piece of foil. Rub 1 Tbsp butter over each piece of corn. Sprinkle 1/8 tsp salt on each piece of corn. Wrap up in tinfoil. 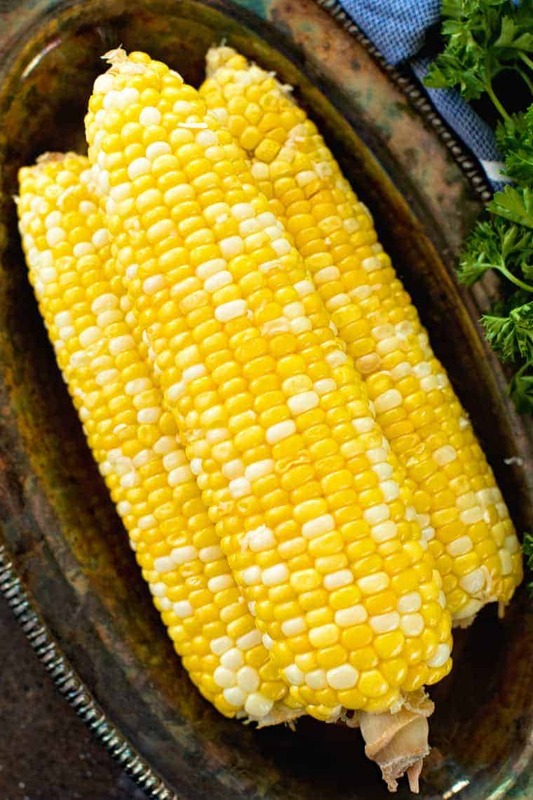 Place each piece of wrapped corn on the cob on grill. Grill for 18-20 minutes, rotating corn 3-4 times during that time so it doesn't burn.